PA Dutch Country has many special traditions, and one of our personal favorites is definitely Lancaster County’s annual Mud Sales! Their name may be funny, but they’re SERIOUSLY great events to experience local culture and pick up some great locally-made goodies… and besides, the silly name is part of the charm of these annual sales. The name comes from the typical condition of the fields where the sales take place. 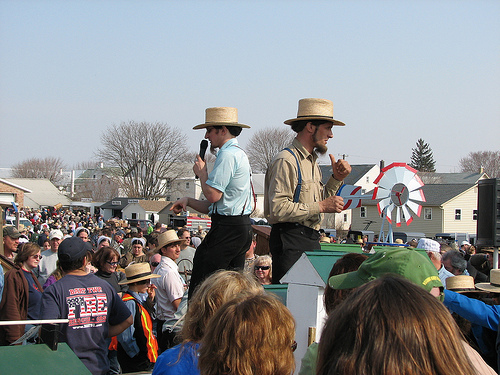 These annual fire-company fundraisers bring out a variety of shoppers: Amish, Mennonite, other locals and tourists from near and far make the trek both for the wonderful and unique shopping opportunity, as well as the great people-watching!